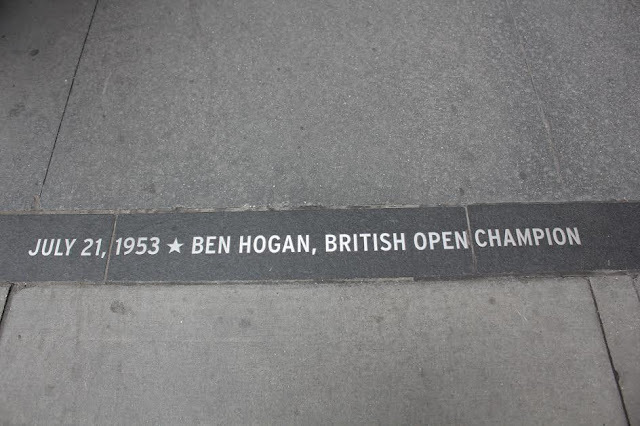 WITH THE OPEN CHAMPIONSHIP SET to tee off next week at the Old Course in St. Andrews, Scotland, it's a fitting time to recall Ben Hogan's ticker-tape parade down Broadway in New York City after winning the 1953 British Open at Carnoustie. It was Hogan's only appearance in the Open, and the year of the "Hogan Slam," in which he won the Masters and both Opens. On both sides of the Atlantic, superlatives rained down on Hogan like a Scottish storm. On his first try, he had not only won the world's oldest golf championship, he had captured the hearts of fans in golf's founding country. He would never go back. 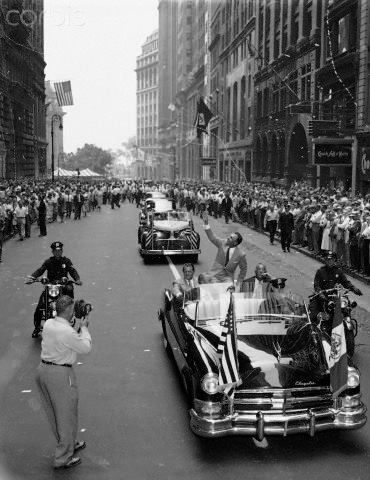 Upon his triumphant return to America, a smiling Ben Hogan dressed in a gray business suit and riding in an open Chrysler limousine was hailed by 150,000 people in a ticker-tape parade along Broadway in New York City. It was the first time an American golfer had traveled the famous parade route since 1930, when the conquering hero was an amateur named Bobby Jones. Parades for golfers don't get any bigger. Love the pictures. I didn't know they put markers down for having a ticker tape parade in NYC. Thanks for the post! Nor did I until John Coyne sent me the picture.